FertiCoat has proven efficacy in improving crop production through improving fertilizer efficiency. 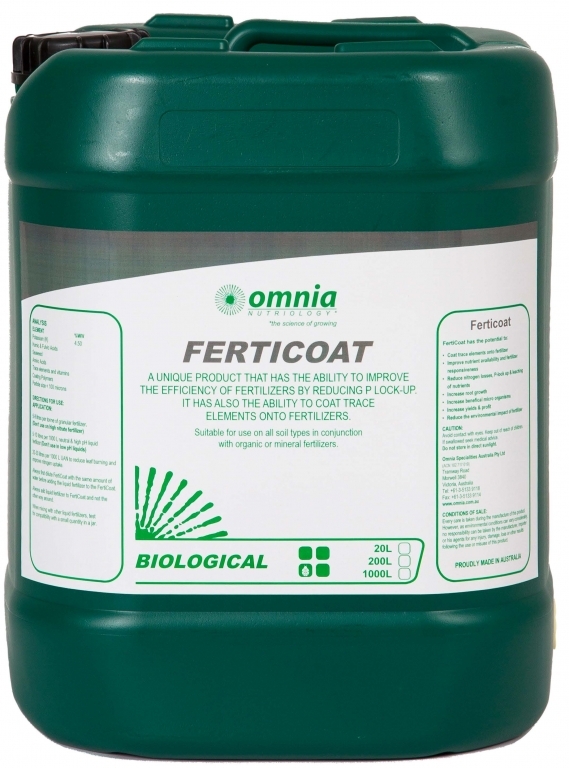 FertiCoat can be used to adhere up to 2.5% of trace element per tonne of granular fertilizer when used as a coating, and acts to protect applied elements from lockup in the soil, whilst also influencing phosphate availability. When applied to spread urea, FertiCoat could reduce the level of leaching, improving the level of available nitrogen to the crop. FertiCoat is also used a dust suppressant in fertilizers.